Tele2 AB (Tele2) today announces a strengthened presence and offering for its Internet of Things (IoT) implementations in France. During the last couple of months, Tele2 IoT has recruited dedicated resources in France and signed a strategic partnership with Sisteer, in order to secure the right setup needed to support the important IoT market that France represents. Tele2 IoT expects the total number of connections in France to double within three years. 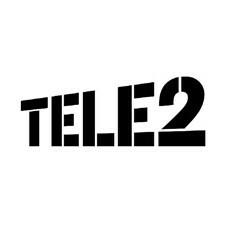 Sisteer, Tele2’s new partner, is the leading alternative connectivity reseller in France, a strong enabler that is well set-up to deploy telecom and IoT connected systems to the market. To further accelerate the presence in the French market, Tele2 and Sisteer will together host an event, IoT Talks Paris on June 8th. The purpose of this event is to engage and inspire even more customers and partners to start their IoT journey. Visit www.tele2iottalks.com/paris for more information and registration.